Oh, man… Of the seven Bruce shows I’ve seen in my life, I think last night was the best (or second best) after Worcester 88. The fans were REALLY into to it and Bruce played the greatest oldies, his very best, and the party songs (and new stuff!). Played over three hours. Unbelievable. I still can’t talk much from all the singing. To be honest, I wasn’t at all psyched up about the show — not one bit. Remembering John Fitzgerald Kennedy Jr. I was born just over a year after JFK’s assassination, so my memory of the man is only through history – and my father. Dad was a very devoted fan of JFK, and I remember finding him, on more than one occasion, listening to speeches JFK had made, or reading volumes about the slain president. Once, Dad was crying. “Where were you when Kennedy was shot?” The question is often asked, and the responder will then fill you in on what a terrible time that was for the country and the impressions that would stay with them forever. What was the Foxboro Jaycees Teddy Bear Transfer? There’s a terrific program going on here in town that you might not know about here—it’s called the Teddy Train. The concept is brilliant: Arm Foxboro Police and Fire personnel with stuffed bears and dolls, so when they go out on calls they can give them to children who experience a traumatic event. When kids have been in an accident or fire, or need to be transported by ambulance, emergency personnel want to make the child as comfortable as possible. Fire up those web browsers because Foxboro’s on the web! Yes, the unofficial Foxboro web site is up and running and very impressive, and all due to the generosity of Pattiann Malynn. Of the eighty quadrillion reviews written or televised in the last three weeks about this eagerly awaited Star Wars prequel, most seem to have a common summary: The film is technically brilliant, stunning and innovative in its scope and visual computer-generated wizardry, but painfully slow, actually dull in some places, and has little or no character development and little human drama. 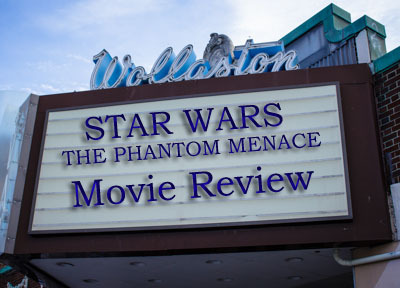 I was disappointed to learn that the critics are correct. Brace yourselves, I’m starting off today’s column with some very foul words.Accolade. Opulent. Arbitrary. Recalcitrant. Bombastic. Cacophony. Here’s a myriad (foul) of foul words: Enigma. Ennui. Faux pas. Garrulous. Pensive. Gregarious. Nuance. And how about the most fowl: quell. Querulous. Quixotic. So by now you’re probably thinking I’m crazy, but that’s already been established and it really a discussion for another time. Palm Sunday mass, and Saint Mary’s is filled beyond capacity this afternoon. There is literally a standing room only crowd. I’m late again, so I’m also standing. This particular mass features the longest gospel of the year — the Passion of Jesus Christ, which tells the story from the Last Supper to the day after the crucifixion. 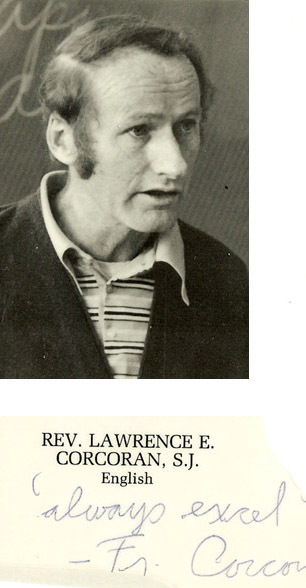 My mind wanders back to many years ago at Saint Kevin’s in Dorchester, when we’d all stand for the long gospel, and then afterward Father Kierce would say a seemingly longer sermon and then read the announcements from the church bulletin. Last year’s Foxboro Jaycee pancake breakfast brought some personal reflection. It seemed that my 1998 Reporter article persuading all to come attend this wonderful annual event had painted the Jaycees as maybe just a little TOO happy and a little TOO organized. “Perfect synchronicity,” was the I term used, I believe. Sure, the group has seemingly endless energy and does great things for Foxboro, but my description of the perfect, joyful harmony and absolutely clockwork motions of all involved got me a lot a ribbing. He was one of the most generous people any of us will ever meet. More than one person has referred to him as one of Foxboro’s “Guardian angels,” and that’s exactly what he was. Jerry Rodman is gone, and this town will never be the same. We’ve all lost a friend. I recall the Senior Center vote at the town meeting two years ago, and after its passage, there was Jerry shaking people’s hands and saying, “Good vote! Like the other six billion folks on the planet, the new millennium has been on my mind lately. You can’t help it; we’re being bombarded with magazine articles, news reports, and even the New Year’s Eve news broadcast led with two stories: The new Eurodollar, and Y2K. So I thought I’d lead off this year with some thoughts about the upcoming New Year’s to end all New Year’s. The little boy, all of four years old, is laying mechanic-style underneath the Christmas tree, his tiny feet poking out amid the brightly-colored wrapped gifts. He’s surrounded by the smell of the fresh pine, fascinated as he watches the amazing kaleidoscope of light and reflections off ornaments and tinsel. Suddenly, the unthinkable happens. In a swift motion, the tree has fallen over, pinning him under it. Our hero isn’t hurt but just a little startled. Star Trek continues to live long and prosper. 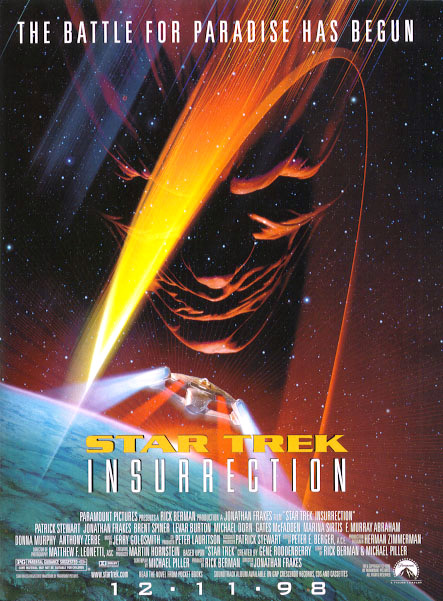 “Start Trek: Insurrection,” the ninth Star Trek feature film and third film outing for the “Star Trek: The Next Generation” (ST:TNG) cast, is a solid action story, featuring a morality tale, humor, and for the first time in a while for a Trek film, romance. In addition, this movie features far more location shooting than any previous trek film, which gives the film a grand scale. It began in the summer of 1993. Oh, others had talked about it and kicked around the idea for a while, but the real beginnings were during that summer. Bob and Jane Webster — both veteran Jaycees and already active in the community — wanted Foxboro to have its very own First Night New Year’s event. No need to drive to Boston or Providence — right here in town there would be a non-alcoholic New Year’s celebration for the entire family. Introduction: From 1989-2007, the Foxboro Jaycees Haunted House was the largest not-for-profit Haunt in New England, our biggest fundraiser, an extremely popular event attended by thousands of people, and my favorite Jaycee project. Of course, this is an archive, so things like show times, dates, price, and out-of-date historical context, are removed. So why include this column here? I think it’s well worth a read because the Jaycees’ enthusiasm and dedication to our Haunted House – and helping the community – is readily apparent, as is my great love for the chapter and our Haunted House.